Memories Of 2012 – James Proclaims! 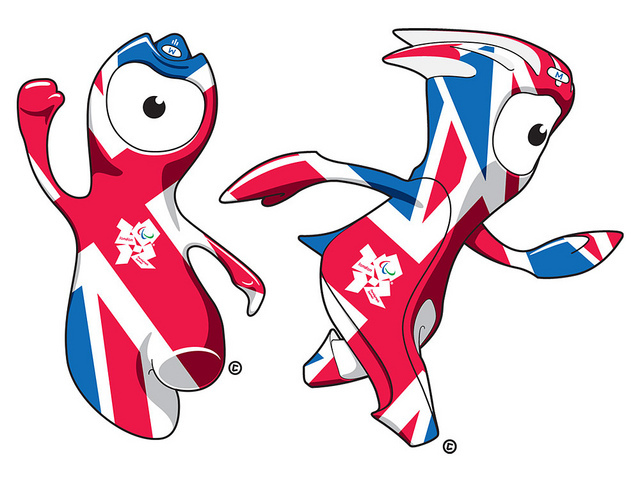 Wenlock and Mandeville. Did anyone ever really know what they were supposed to be? It’s easy to be cynical about the Olympics if you want to be. Stories of drug cheats, athletes behaving badly, and excessively sycophantic media coverage can leave you feeling a little jaded with it all if you let it. But aware, as I am, of the numerous reasons to dislike elements of the self-styled “Greatest Show On Earth” I always find myself getting caught up in the hype. Like many of our country-folk, Mrs Proclaims and I have been avidly following the Rio games. Indeed we’ve both become a little obsessed. For the last two weeks we have been glued to our screens and following the coverage of near enough every sport in a way that has been borderline unhealthy. I know Team GB has been doing particularly well, and I suppose that doesn’t hurt, but more than anything I think we, and many of our compatriots, got Olympic fever in a big way in 2012 and we may be beset by this condition for the rest of our lives. Perhaps, though, Mrs Proclaims and I are more afflicted than most, because London 2012 really did dominate, and in many ways save, our summer that year. Because that summer we were homeless. Not homeless in the sense that we were sleeping on the streets or even in the sense that we had significant financial difficulties. It was more a lack of forward planning and a rather inflexible rental market but for a period of three weeks or so we didn’t have a place of our own and needed to rely on the support and indeed ‘spare rooms’ of our nearest and dearest. We began 2012 living in rural Kent, a place we had resided in since the summer of 2009. It was a pleasant enough town that we lived in, in many ways your archetypal ‘chocolate box’ provincial town. Easy on the eye, full of middle class neighbours, low crime rates, and absolutely nothing to do. Ever. We hadn’t really noticed the lack of stuff to do because we’d been working really hard – both of us were essentially working two jobs at the time, saving for deposit to get on the housing ladder. It was a pretty brutal existence and something had to give. We were already considering a change and when we were told that we would probably need to give up our house at the end of July, we had a choice to make – did we find new accommodation locally and continue with an lifestyle that neither of us loved, or did we use the opportunity to relocate? After three years Kent still didn’t feel at all like home so relocation seemed sensible. We stuck a pin in a map (not entirely true but not far off the rationale we actually used to decide) and selected High Wycombe as our next destination. The fact that we only lasted a year in High Wycombe tells you all you need to know about that particular decision, but the move did lead to us discovering the joys of Reading, the place we now do call home. Having selected the town, and Mrs Proclaims having secured a job there (and I subsequently secured employment in the nearby, afore-mentioned, Reading, which sheds a little more light on why we ended up here a year later) and we set about finding accommodation. And realised just how difficult a thing that was to do. After three years of living in the same place it seemed the rental market had changed somewhat. Or perhaps in High Wycombe it was more brutal than other towns we had lived in. Nonetheless it caused more than a little stress. Aside from having to provide all kinds of documentation such as references and proof of income, we had to commit to ridiculous contract terms and provide the equivalent of half a month’s rent as an agency fee. I was never entirely certain what the agency did to merit this money, other than being slightly unpleasant and condescending, but it was clearly not a ‘renters market’. The irony was that we actually had a sizeable deposit with which to get a mortgage, and had opted to rent in order to get an idea of the area before we bought. Hindsight now tells us that renting in the South East of England is the worst choice you can make if you don’t actually have to. Certainly if we’d bought in High Wycombe we’d have still wanted to leave, but in this part of the world houses sell quickly and, perhaps more pertinently, go up in value, so it would have been more prudent to buy. But you learn from experience and this was one we had to go through. The worst thing about renting though, was that there were no houses or flats available when we needed them. The earliest we could get a flat that met our needs was the end of August but we had to vacate our Kent home at the beginning of that month. As we both work in education we didn’t need to be in High Wycombe before September, but we still needed somewhere to lay our hats (and store our sofa) during August. We are lucky, we both have supportive parents, and at the time we also didn’t have that much in terms of possessions so we were able to store most of what we needed at Mrs Proclaims’ family home. We did end up having to give up a lot of furniture that we’d acquired over the years but we bought most of it second hand to begin with, so we weren’t too out of pocket. As it happened, the opening ceremony of the Olympics, on the 27th July, was the last thing we watched on TV in our Kent abode. The following morning, we loaded up a van, with the help of Mrs Proclaims’ many siblings, and drove to her family home in Essex, where we unloaded our boxed-up possessions and sofa into the garage. The plan was to spend a few nights in Essex and then drive down to my parents house in Wales, where we would stay until we could move into our new flat in High Wycombe. This was, in part, so our respective families could share the burden of ‘looking after’ us, but we planned to spend longer in Wales because my parents were disappearing off on holiday after a few days of us arriving so we would be able to house-sit for them which seemed a mutually beneficial arrangement. Well obviously we benefitted more, but they were happy to let us stay. So we were homeless in spirit, but we were well provided for. It was still pretty stressful though, and the constant moving around and uncertainty meant that any kind of holiday was out of the question. But what we did get to do was watch the Olympics. A lot. Obviously we’d both been aware that the Olympics were coming to the UK but neither of us had anticipated quite how Olympic-mad the British public were going to be. It was crazy. Team GB did phenomenally well in 2012, but we didn’t win our first gold medal until five days in, and the Olympic fever was pretty full-on well before that happened. Tickets had sold out for every event before the games had even begun and we hadn’t tried to get any because of the uncertainty over our accommodation and relocation plans. But because of the ‘lottery style’ nature of the ticketing process, some tickets were being re-released during the fortnight. And with nothing better to do, being stuck in a kind of purgatory, and with our Olympic fever rising by the day, we decided to try our luck. There was no chance of getting anything marquee, like the 100m final, but we were now at a point where just going to an Olympic event seemed like a once in a lifetime opportunity. So I went online and managed to secure tickets to the opening rounds of the canoeing. Neither Mrs Proclaims not I are huge fans of canoeing but the timing of it was such that we could go on the day that we were due to travel from Essex to Wales and, conveniently, the venue was pretty much halfway between the two locations. Arriving at Eton Dorney – we couldn’t even see the water at this point but we were so excited! So we got up at the crack of dawn on August 6th 2012 (our two year wedding anniversary as it happened) and drove to Windsor where we parked the J-Mobile and got a boat (boats are always exciting!) along the Thames to Eton Dorney. To this day I have no idea who we were watching. I did learn the difference between a kayak and a canoe. We may have seen eventual medal winners, we may not have done. In many respects the whole event was lost on both of us. But the atmosphere was amazing. There was just so much excitement. I don’t believe half the crowd understood the sport any more than we did but we were all just happy to be there. I’ve been to sporting events where I’ve passionately supported one of the teams playing. Earlier that same year, in fact, I had been in Cardiff to watch Wales win the 2012 Grand Slam in the Six Nations rugby competition. That, for me, had been sporting nirvana, but this, in it’s own way, was just as memorable. It wasn’t about the canoeing – it was about something more. Being part of a moment in history. The Olympic Spirit felt more than just a cliche that day. We left, satisfied that we had joined in. That we could look back on the Olympics knowing that we had been a part of it. It was like a drug. And we were going to be in Wales for a few weeks. Some of the football was being played in Cardiff’s Millennium Stadium. The very stadium I went to watch my beloved Wales win the Grand Slam (and lose many other matches over the years but let us not speak of those games). I speculated once more and managed to get tickets for the men’s football Bronze medal match. And having followed the fixture list, I realised that Team GB had a very real chance of being in that match. According to my predictions, the home team would make it to the semi-final, but then lose to Brazil, so, in my mind, they would definitely be in the Bronze medal match. It was a foolproof plan. But we had time to kill before that match. That was not scheduled until the end of the games. And though we were enjoying watching the coverage and seeing Team GB bring in gold medal after gold medal (we got quite into the rowing, not because GB always does well in rowing, but more because it was taking place at the very same Eton Dorney that we had visited to watch the canoeing) I still wasn’t satisfied. Because what I really wanted to do was go to the Olympic Park itself. There were people who were just buying tickets to enter the Olympic Park, without actually going to see an event. That would have done me. But those tickets were long sold out. The only way to get into the park would be to secure tickets to an actual event taking place at that hallowed location. And they were the hardest tickets of all to get. Day after day, hour after hour, I checked for available tickets at an appropriate venue. It became an obsession. And then there they were. Tickets were available to watch the Women’s Water Polo 7th/8th place play off. Are there any more stellar sporting events than a water polo 7th/8th place play off? Even better, water polo is one of those sports that GB doesn’t normally enter, but because it was a home games we did. And Team GB were in the 7th/8th place play off. Because there were only eight team in the competition. Literally we had got tickets to see whether or not our team could avoid coming in last place (spoiler alert – they could not). And so on the 9th August 2012, Mrs Proclaims and I boarded a train from Cardiff to London and made our way to the Olympic Park. Despite making it all the way to the park, we neglected to climb this particular structure. But we did take a photo. As well as seeing Team GB come eighth out of eight in Women’s Water Polo (they made a good fight of it – losing 11-9 to Italy, but they did maintain a 100% losing record, a consistency that filled me with more than a little pride), we happily wandered the park, taking photos, eating in the temporary site of the, then, largest McDonalds in the world, having our photo taken with Wenlock and/or Mandeville (the weird mono-eyed blobs that were the Olympic and Paralympic mascots) and attempting to spot celebrities being interviewed on the balcony of the BBC studio. We also wandered around the Olympic megastore where I purchased soft-toy versions of Wenlock and Mandeville. Team GB en route to heroic eighth place finish! It was a tremendous day. A bit tiring but totally worth it. And we still had the football tickets. And the guarantee of seeing Team GB winning a bronze medal. Except that Ryan Giggs et al, had not read the script and lost to South Korea in the quarter finals. South Korea then lost to Brazil and so it was they who met Japan in the Millennium Stadium on the 10th August. Japan versus Korea is not an international fixture that would have many purists salivating. I suppose it was an East Asia derby which may have given it a bit of ‘edge’. Nonetheless it was hard to get overly excited about. But we had the tickets so we went anyway. Great though the atmosphere had been at the Olympic Park and Eton Dorney, the Millennium Stadium was just a carnival. The Welsh fans sitting in our part of the stadium had adopted South Korea, so we did too. There were large inflatable balls bouncing around the crowds. South Koreans were teaching us what to chant to spur their team on. It was all very good-natured. South Korea did us proud and beat Japan 2-0. We returned to my parents abode, satisfied that we had had a very full Olympic experience. The photobook we generated that year is still one of favourites to look back on. A couple of weeks later we moved into a disappointing flat in High Wycombe, a week or so after that we started our new jobs. Unfortunately the scheduling of the Paralympics rather clashed with those new jobs so we were unable to extend the dream of actually ‘being there’ any further, but Paralympic fever gripped the nation as much as the Olympics had done and we watched as much coverage as we could on the TV during our, now limited, free time. We now live in Reading for goodness sake – if that isn’t a sign of growth then I don’t know what is. And this summer we did have a proper holiday. We were vaguely interested in the Olympics of course, but not enough to come back in time for the opening ceremony. But when we switched on the telly last week and saw the Rio games in all their glory, memories of the London games came flooding back. It wasn’t quite the same as that magical summer of 2012, and if I’m honest, we did not follow the either the men’s or the women’s Water Polo this time around. But the legacy of 2012, if nothing else, is that it has converted Mrs Proclaims and I into true Olympaholics. What a fascinating read and so glad that you are now happily living in Reading. Sounds like the football ended up a good day! I am usually a massive athletics and Olympics fan, but totally have not got into the Rio Olympics. Shame as we seem to e doing quite well! This was an amazing memory to read! And I’m glad your living situation worked out in the end. Olympics are so much fun and I wish I was in a place where I could watch them lol. I do catch a little bit on Korean televisions if I happen to be in a store that has it on, but that’s not too often. The Korea vs Japan soccer match would have been amazing to see!! There is such a connection and rivalry between the two countries (or at least when you ask Koreans there is) that I am sure it made for an entertaining game. Glad you liked the post. It was a great game, the atmosphere was brilliant and I don’t suppose it’s a rivalry I’m going to see again unless I get a chance to travel to Korea or Japan. The Tokyo games are looking very appealing in four years, but I’ll need to start saving now… Shame you’ve not been able to see much – Canada did ok for Winter Olympic specialists – four golds and twenty-two medals in all. South Korea also did pretty well, particularly in archery. Who knew? Pingback: James Reviews The Rio Games From The Comfort Of His Sofa – James Proclaims!